Kareena Kapoor has been faithful to her fitness routine soon after she gave birth to her son Taimur Ali Khan. The actress was snapped at the gym in Mumbai on August 31, 2018. 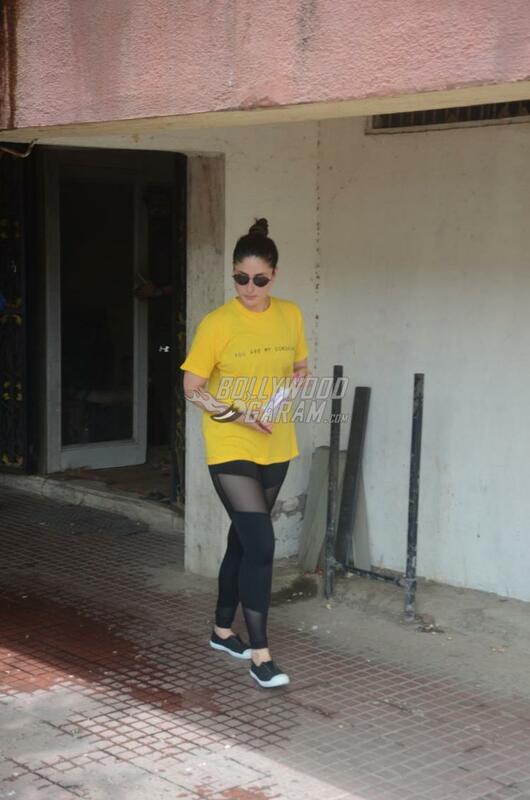 Kareena looked pretty in a yellow t-shirt, black tights and black sneakers with a trendy pair of sunglasses. The actress has been regular at the gym and seldom misses her sessions. Kareena recently turned showstopper for designer Falguni and Shane Peacock at the India Couture Week 2018. The Jab We Met actress stunned as the showstopper in a gold lehenga with heavy embellishments with a detailed dupatta with feather details. Kareena was last seen in the film Veere Di Wedding which also starred Sonam Kapoor, Swara Bhaskar and Shikha Talsania in lead roles. 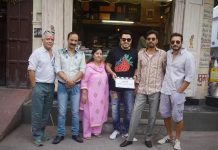 The film was directed by Shashanka Ghosh and produced by Rhea Kapoor and Ekta Kapoor. There are reports that the actress has been approached to play a cameo in the upcoming film Happy Phir Bhag Jayegi.